We are a welcoming and caring environment for children aged 2-4 years, with all staff fully DBS checked. Market Rasen Pre School is a welcoming and caring environment for children aged 2-4 years. All staff are fully DBS checked. Pre School is situated in the Children's Centre, Kilnwell Road, Market Rasen, LN8 3BJ. We offer childcare 9am - 3pm Monday to Friday. Our Pre School is based in a new modular built Children’s Centre in the Pre School room which has an adjoining outdoor space for outside play. The Parents and children gain access by the outside gate, through the outdoor area. Our pre-school also has an outdoor field area of which we access each day through the large school gates, off our site. We are based in a small market town in a residential area, next to the local Primary School. 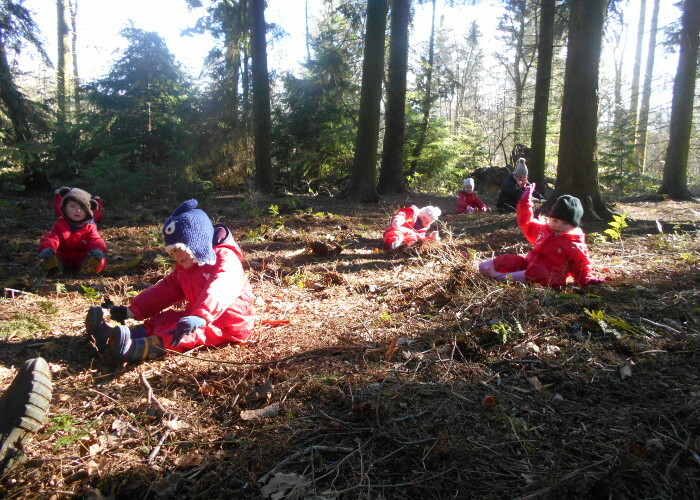 Each week, small groups of children are taken to Osgodby Woods via minibus, where forest school takes place with our very own Level 3 Forest School Leader. Find out more by clicking here! At Market Rasen Pre School we take small groups of children swimming every Thursday morning from April to October, for more information check our Swimming page or get in touch. Our curriculum is based on the belief that every child is unique and learns differently and at their own pace. We also follow the statutory guidance of the EYFS, 2017. For a breakdown of our session times and what funding you may be entitled to visit our Sessions, Fees & Funding page. Feel free to contact us using the details below or pop in to talk pricing. Get in touch with us using the details below, alternatively, you can use the form on our contact page to send an email regarding our child care services. Visit our Daily Routine page to see what a day in the life of Market Rasen Pre School is like as well as finding ideas for tasty lunch box fillers and more. Find out more below! At Market Rasen Pre School we currently have a team of 7 members of staff, all being fully qualified and DBS checked. Find out a bit more about the team by clicking the link below. Here you can find a list of our most important policies available as downloadable documents. Do get in touch with any questions you have about our child care policies.